I arrived in Melbourne from Vietnam five years ago to study social work at Victoria University. Like any other newcomer, I explored the city, applied for a few jobs and started settling into my new home. Melbourne seemed a great place to be, somewhere you can have a comfortable life. But I slowly discovered life here can be very hard for some people, particularly in Footscray, where I live. I saw many older Vietnamese people who should have been retired doing extremely low-paid jobs, working long hours in restaurants for cash in hand. This may be because of lack of family or support, as well as language barriers. I saw many others in the Vietnamese community unemployed because they couldn’t speak English. I thought to myself that one day I would do something for this community, not only because I am Vietnamese, but also because the hardship I witnessed made a very strong impression on me. Fast forward to year three of my social work degree, and my first work placement, with the Australian Vietnamese Women’s Association. 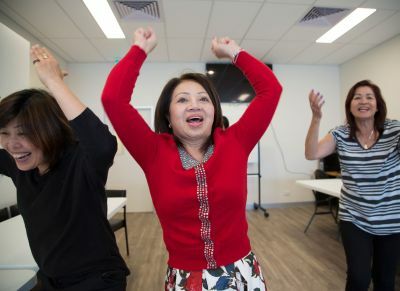 The association provides services and support to improve the health and wellbeing of the Vietnamese community in Victoria. I thought to myself that one day I would do something for this community. I accompanied counsellors working in the Vietnamese Prisoner Support Program on prison visits and was also the first point of contact on a legal helpline, where people could call up about a legal problem and we could refer them to a Vietnamese-speaking legal aid lawyer. The placement inspired me to conduct research into social issues experienced by Vietnamese-Australian women. However, there are many social issues within this community, and I found it difficult to decide which one to take on. As part of a research placement with the Victorian Responsible Gambling Foundation, I am exploring gambling harm experienced by Vietnamese-Australian women. I could find very little literature about gambling harm and this group, but two pieces I did find fuelled my interest in research in this area. The first was a study into Vietnamese-born women in Victorian prisons by Le and Gilding (2014), which reported that 18 out of 35 participants were driven into the drug trade to resolve debts incurred through casino gambling. The second was the National Prisoner Census by the Australian Bureau of Statistics (2015), which reported that 20 per cent of overseas-born prisoners in Victoria were Vietnamese-born. Eighteen out of 35 participants were driven into the drug trade to resolve debts incurred through casino gambling. 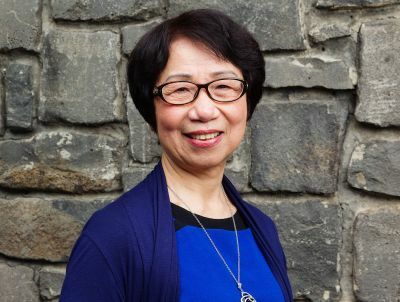 The study has involved interviewing seven Vietnamese-Australian women who identify as having experienced gambling harm through the behaviour of family members, relatives or friends (referred to as 'loved ones' in this article). I asked participants about why their loved ones started gambling, the impact of gambling harm on their lives, their experience of supporting loved ones who gamble, and their views on support services. In some cases, participants said they did not know why or when their loved one started gambling. One participant said she respected her partner's privacy and never asked him why. 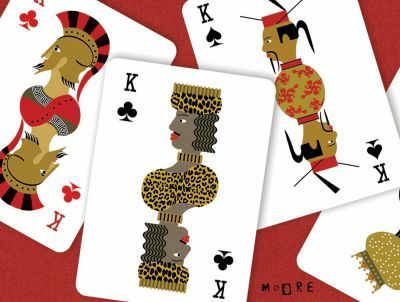 The impacts of gambling harm on the women ranged from increased burden of responsibility to take care of other members of the household while their partner gambled, to having suicidal thoughts. In general, gambling affected their financial wellbeing, mental health, physical health, and relationship and psychosocial wellbeing. They experienced this harm as children of gamblers, partners of gamblers, close friends of gamblers and parents of gamblers. In some cases, the effects have been long-lasting. One participant said she had to sleep on the street and work as a beggar as a child in Vietnam due to her father’s gambling, and now at retirement age in Melbourne, she is scared to live with her children who are gambling, as she fears she may have to go through such an experience again. In general, gambling affected their financial wellbeing, mental health, physical health, and relationship and psychosocial wellbeing. Most of the women wished to help their loved ones, despite the breakdown in their relationships. Nevertheless, in some cases, they eventually gave up supporting them because they felt 'tired' and thought 'gambling addiction is hard to get rid of'. One participant said that even though she still loves 'that person', she eventually gave up supporting them because she thought there was nothing she could do. In some cases, participants said love for their children and their partners kept them from not giving up supporting. The women expressed the need for a wide range of supports. Some said they need emotional support while others thought financial support would be more beneficial, to help cope with the increased burden of responsibility for other family members. A number of participants raised the need for treatment for mental illness caused by stress and abuse. One said she would prefer having more support for gamblers as she thought they suffer more. Another said she wished there could be outreach workers to come to her house. A few said they do not need anything, or were not sure what kind of support they could access, as they thought there were no services available to them. A number of participants raised the need for treatment for mental illness caused by stress and abuse. Concerns about confidentiality and trust were common among the women. One said she would use support services if they could make her feel like she could trust them. Through this study, I aim to contribute evidence that is specific, accurate and useful in tailoring culturally appropriate and gender-specific services for Vietnamese-Australian women. Part of an honours year of my Bachelor of Social Work, this study is my first step into the field of gambling research, a field to which I hope to continue contributing. I would like to thank the Vietnamese-Australian women who shared their personal stories with me – their experiences comprise a large part of this research. Read more about the Australian Vietnamese Women’s Association and how they are breaking the silence through theatre. Hai Doan is completing his Honours year for the Bachelor of Social Work at Victoria University. He is currently working at the Australian Vietnamese Women’s Association Inc as a Prisoner Support Worker.